We present the Molten BBL All-Defensive Team for 2017-18 – as voted for by all BBL clubs. It has been a mixed season for Cheshire Phoenix who had the high of a BBL Cup silverware success, only to miss out on the Play-Offs. However, one constant throughout, has been the defensive capabilities of Bailey – specialising in the locking down of opposing guards. Even if some of his team-mates have received headlines ahead of him, opposing coaches in the BBL appreciate exactly what Robertson brings to Riders at the defensive end. He is a cornerstone of Leicester’s success, appearing in more league games than any other player the champions’ roster. One of the standout players of the 2017-18 campaign, Peel has enjoyed a stunning first year in the BBL and has racked up plenty of weekly All-Star Five honours. He has been a towering presence on the boards and showed his power with many memorable defensive plays and especially rejections. Still one of the league’s premier players, the Great Britain and Glasgow Rocks’ titan continues to set the tone for his team defensively. Without the vast experience and veteran know-how of Achara, it is tough to envisage Rocks having successfully secured a top four place. The Great Britain powerhouse has been an excellent signing for Wolves and while everyone loves to watch him bringing down the hammer on offence, he’s also been an absolute beast in terms of blocking shots. With 2.4 swats per game, it is almost a full block more than anyone else in the BBL per outing. 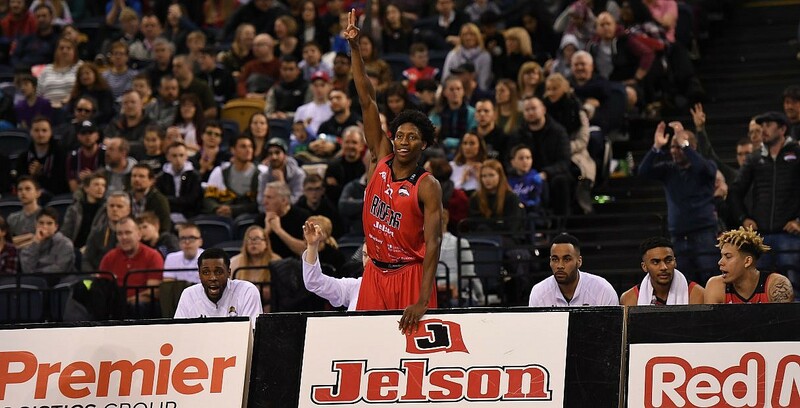 Off the bench – Raheem May-Thompson (Cheshire Phoenix), Justin Robinson (London Lions), Mike Tuck (DBL Sharks Sheffield), Tyler Bernardini (Leicester Riders), David Kadiri (Manchester Giants), Paul Guede (London Lions), Trayvon Palmer (Worcester Wolves).